US President Donald Trump has given US Trade Representative Robert Lighthizer a year to look into whether to launch an investigation into China's trade law, policies and practices. The US plans to apply the Section 301 of the Trade Act of 1974, which empowers the president to take trade measures against Chinese products such as lifting tariffs. The section has been seen as an obsolete tool for trade protectionism and rarely used since 2001. People worry that a trade war between Beijing and Washington is unavoidable. Trump aims to kill two birds with one stone. He is fulfilling his campaign promises to target China and its alleged unfair trade practices. Once, he proposed a 45 percent tariff on Chinese imports. In domestic politics, he has barely achieved anything decent since he assumed power, so he needs to manipulate "China agenda" to show his strength. Trump also hopes to use trade as a leverage to press China to adopt a tougher policy on North Korea, such as cutting off its oil supply. Although China has halted imports of coal, iron ore and other goods from North Korea and voted for the UN Security Council's new resolutions to sanction North Korea in early August, Trump is still raising unrealistic demands over China. Last month, Trump implied that if China enhances pressure on Pyongyang, he would soften his tone on trade issues. However, Trump may not be able to achieve what he has wished. As Chad Bown, a trade expert at the Peterson Institute for International Economics, said, Trump's willingness to use "obsolete US trade law" could create problems. Although China has reiterated its opposition to a trade war, it has prepared necessary countermeasures. China can strike back by applying the rules of the WTO. Other major trade powers such as Germany and Japan also worry about the Trump administration. In the 1980s, Section 301 was often used to ban Japanese goods from entering the US such as automobiles and iron and steel products. Investigations under Section 301 harm the authority of the WTO and mean that the US can launch unilateral restrictive trade measures. This will do no good to maintaining multilateral trade systems and the world economy will be the victim. In addition, Trump's China trade policies have become more associated with "national security," which will impede the rebalancing of China-US economic ties. In June, members of the Congress demanded the Committee on Foreign Investments in the United States (CFIUS) impose greater scrutiny on Chinese investments in the US. Senate Minority Leader Chuck Schumer has planned to require CFIUS to consider economic factors when reviewing foreign investments. Many economists have pointed out that the Trump administration's efforts to place its policy focus on trade deficit are futile and it should instead prioritize signing a bilateral investment treaty with China. Narrowing US trade deficit with China does not amount to narrowing the overall US trade deficit. Even if the US reduces the number of imported toys from China, the share will be replaced by imports from other countries and US workers will not benefit from it. If the Trump administration continues to connect trade issues with North Korea's nuclear and missile development, it will only complicate the situation. If China and the US start a trade war, North Korea will be the one that will reap the benefits. US analysts estimate that Pyongyang may conduct the sixth nuclear test at any time in the next few months. 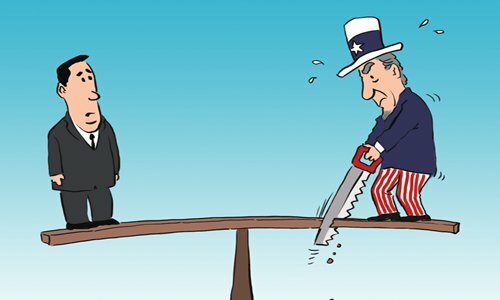 Beijing and Washington must maintain cooperation to cope with a potential crisis on the Korean Peninsula. The short-sighted trade policy of the Trump administration may make the US neglect the fact that China's economic competitiveness is increasing. China no longer focuses on declining industries such as coal and steel, but promising ones such as artificial intelligence, the Internet of Things and clean energy. To advance technological innovation, China has set up a special intellectual property court, a novel move in the world. As China attaches more importance to intellectual property rights, foreign enterprises from South Korea and Japan are considering setting up more high-tech factories in China. Toyota may mass produce electric cars in China in 2019. With the Trump administration's protectionist policies, US enterprises may lose bigger opportunities in the Chinese market.